BassFan, a publication of KSE Sportsman Media, Inc. went live in July 2001. BassFan.com provides the world's premier daily coverage of professional bass tournaments as well select "amateur" tournaments and bass-specific news and features. It's the home of the popular BassFan World Rankings and is widely regarded as the publication of record for the sport of bass fishing and the bass-fishing industry. John Johnson is BassFan's senior editor. He came to the company in 2005 with 18 years of sports journalism experience, including stints as sports editor at three California daily newspapers, and has won awards from the Associated Press Sports Editors and other organizations. He's covered conventional sports at every level, from high school to the World Series, NFL playoffs and golf's U.S. Open. He's a lifelong bass fisherman and also is a big-time bird-hunter and competitive shotgunner. Todd Ceisner is BassFan's editor. He joined the company with more than 9 years of sports journalism experience in newspapers and previously served as editor of WalleyeFan.com. A resident of western New York, he has easy access to some of the best freshwater fishing in North America. Tim Carini is BassFan's advertising account executive. 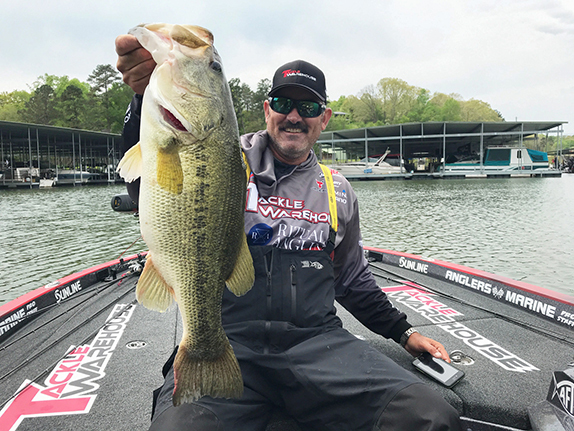 A native of New York state and a graduate of Virginia Tech University, he's a former tour-level angler who competes in Professional Anglers Association events and high-level amateur tournaments. In addition to our in-house staff, BassFan occasionally uses knowledgeable freelance writers and photographers from all over the country. Contact our editorial staff at editorial@BassFan.com, or send them a message via BassFan FeedBack (the more direct route). For advertising questions, send an email to tim.carini@outdoorsg.com. You can also visit us on Facebook and find us on Twitter at @BassFanNews. BassFan.com was established to do one thing: Bring to bass anglers and fans a new, exciting, national type of coverage of pro bass fishing. The name BassFan says it all. BassFan media also includes BassFan Radio and BassFan TV (Video), both of which will continue to develop and expand, as well as the BassFan World Rankings. To become a sponsor of or advertiser with any BassFan media, please contact us at marketing@BassFan.com. BassFan's No. 1 duty is to its readers/viewers/listeners. Everything else is secondary. BassFan reports statements about controversies as they are obtained from observers and some or all of the parties involved. No attempt is made to weigh the statements to find "ultimate truths" or draw a conclusion about who, or whether anyone, was right or wrong. That option is up to the reader. At times columnists whose views appear on BassFan.com address the perceived rights and wrongs in such situations. That is their prerogative as columnists, and BassFan does not necessarily agree with those views. BassFan does not believe that reporting on controversies harms the sport of inshore fishing. To the contrary, such reporting is commonplace in all sports and contributes to a sport's depth and consequent fan-interest level. Controversy also is an unavoidable, and in fact necessary, part of all forms of competition. 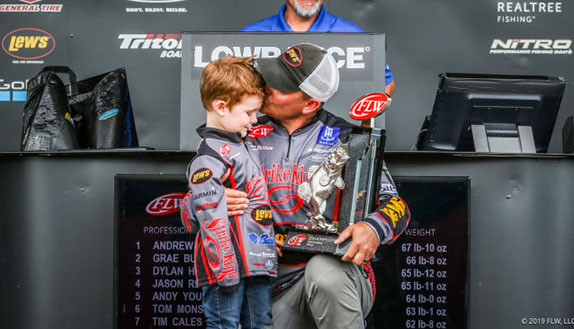 BassFan leads by example through not "taking sides" within the sport of inshore fishing, as all truly independent and professional (ethical) news outlets must do. As part of that, BassFan will not accept any exclusive sponsorships within the fishing and marine industries. 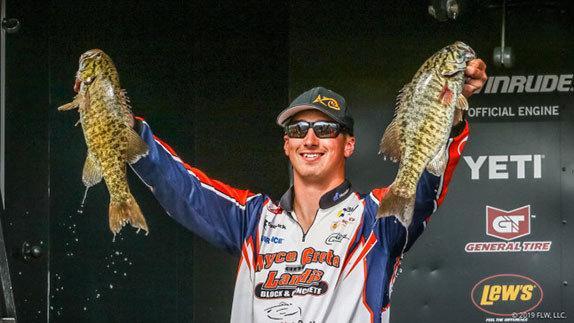 BassFan believes that every player is important to the success of the sport. We also endeavor to avoid shameless sponsor plugs. Likewise, IshoreFan's coverage is not in any way influenced by sponsors/advertisers. In fact, here is the exact language we send to all of our sponsors: "BassFan's objective hard-news content is the biggest reason anglers and fans like BassFan. Because of that we will not in any way allow sponsors to censor or otherwise edit our content. To do that would compromise BassFan and thus the value of your sponsorship." BassFan is firmly against revealing specifically where tournament anglers fish, either via words, GPS points, or 3D or other mapping. Since time immemorial, fishing techniques have been shared, but for obvious reasons fishing spots have been closely-guarded secrets. We believe that fishing spots are the product of hard work and therefore should remain the exclusive information of the anglers who find them. Any specific location information revealed by BassFan is done so at the request of the angler or because we have judged that the information isn't specific enough to reveal an angler's exact spot. At times it is revealed because one of the tournament organizations first revealed it publicly. We do not publish pattern information during a competition unless an angler tells us that he or she won't mind that it is released. Everything on BassFan.com, including BassFan Radio and BassFan TV, is the copyright of KSE Sportsman Media, Inc., except where noted (e.g., photo credits, third-party provided video, etc.). Members of accredited media may use BassFan content under explicit restrictions. Any use of BassFan content not explicitly permitted by BassFan or KSE Sportsman Media, Inc. is a breach of copyright law and will be prosecuted as such.